The University of Ceylon was established by the State Council on April 1942. The first Vice-Chancellor of the new University, Sir Ivor Jennings, hoisted the flag on July 1942 at the College House where his office and the central administration were located. The nucleus of the University was formed by amalgamating the Ceylon Medical College founded in 1870 and the Ceylon University College founded in 1921, both of which were incorporated into the University. Therefore, the history of the university goes back to the nineteenth and early twentieth centuries. The Medical College owed much to the generosity of philanthropists such as Mudaliyar S. Rajapakshe, Mr.Charles Henry de Soysa, Muhandiram A.Simon Fernando Wijegooneratne and Mudaliyar Vimala Gunawardana. In 1888, the Licentiate in Medicine and Surgery (LMS) of the College was recognized to produce fully qualified medical practitioners. 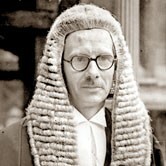 In 1920, the government purchased “Regina Walauwa”, now named “College House” on the recommendation of Sir Edward Denham. The University College was formally opened in January 1921. College House, the then “Regina Walauwa” which is today considered a national heritage site, was a family house that belonged to Arthur de Soysa, the grand son of the philanthropist Sir Charles Henry de Soysa. The library, established through Sir P. Arunachalam’s gift of his late son, Mr. A. Padmanabha’s books, was housed in a room at College House. The old Royal College buildings were taken over in 1923 and the library moved from College House to the Villa Venezia an Observatory provided in the College grounds. On the recommendation of the College Council, the Government declared a land in Buller’s Road, Colombo, as a University site in March, 1924. A Draft University Ordinance was prepared in June 1925. In early 1926 controversy arose over the location of the University. The Governor’s committee in February 1927 reported in favour of the Uyanwatte site in the Dumbara Valley, near Kandy and recommended that the University should be of the ‘unitary’ type in teaching and residential facilities. Sir P. Arunachalam expired two months before the Legislative Council accepted the University in principle in February 1924. Mr. Marrs, the first Principal who gave nearly eighteen years of his life to the development of the College and the creation of the University of Ceylon, retired in July 1939. 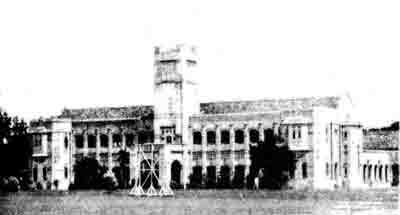 By 1950 the University of Ceylon had a reputation as an important centre of excellence in the Commonwealth. The Higher Education Act of 1966 established a National Council of Higher Education (NCHE) and later in 1972 under the University of Sri Lanka Act No. 1 of 1972 all universities were brought under one umbrella and made Campuses of a single university established as the University of Sri Lanka. 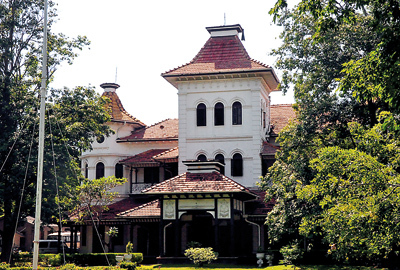 The University of Ceylon, Colombo was named the Colombo Campus of the University of Sri Lanka. This system prevailed until 1977. University autonomy was weakened and as a result, a new Act was introduced in 1978. Under the Universities Act No. 16 of 1978 all Campuses of the then single University became independent Universities. Accordingly, the University of Colombo, Sri Lanka regained its autonomy in 1978. It had Faculties of Medicine, Arts, Science, Education and Law. A Faculty of Graduate Studies was created by an Ordinance of the UGC in 1987,to further strengthen post-graduate education. Subsequently, the Faculty of Management and Finance was established. The Sri Palee Campus of the University was established by a Gazette notification in 1996. Institutes with financial autonomy were created by the earlier Act of 1972. When the single university was dissolved in 1978, the Postgraduate Institute of Medicine, the Institute of Workers’ Education and the Institute of Indigenous medicine were affiliated to the University of Colombo. The Institute of Computer Technology (ICT) was established in 1987. The University now has 7 Faculties with 41 Academic Departments, a Campus, a School, 6 Institutes and 5 centres. The University has recognized the importance of linking with alumni especially in industry and the private sector, through the concept of voluntary mentoring and internal placements facilitated by the Career Guidance Unit. Subsequently, the ICT was renamed as the University of Colombo School of Computing (UCSC) in 2002 and the IWE was renamed as Institute of Human Resource Advancement (IHRA) in 2006. The University of Colombo today is a National State University that offers education to some of the best students in the country who enter its portals with hopes and aspirations for a better future.